The 2nd label of Vieux Chateau Certan. Equal part Cabernet Franc and Merlot in this vintage. Deep ruby color. Black pepper, green pepper, black currant, floral, cream, oak, yeast. Medium body, medium+ palate intensity, high tannin, and medium+ acidity. 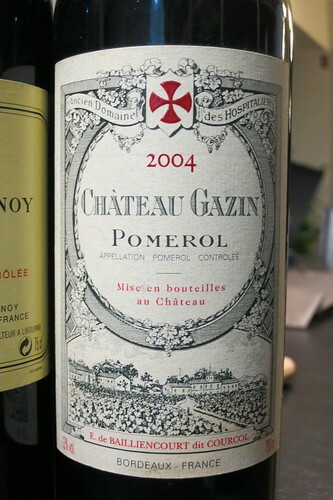 Probably the most inexpensive Pomerol can found in Taiwan. Very easy to drink style. Deep ruby color (ligher than La Gravette de Certan 10′) with purple rim. Green pepper, asparagus, gumbo (秋葵, okra, lady’s fingers), wet humus mold soil. 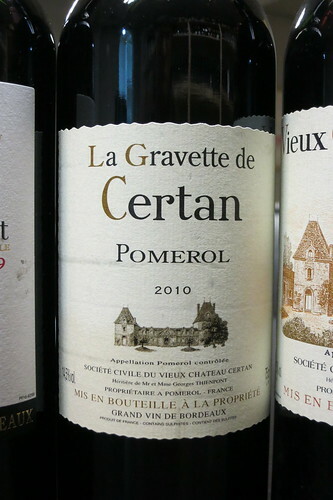 Medium body, medium+ acidity and length, high tannin (not as smooth as expected Pomerol). Palate flavors ends earlier than acidity and alc. mouthfeel. The name of Gazin has two possible origination, 1st is the Knights of the Templars, and the other one is the old French word “Gazaille“, which means the big rock for boundary rope. This vintage Gazin shows a very changeable style. Pronounced nose, but changes very quickly (like the fidgety horses by the Gazaille?). Black berry, black cherry, kirsch, rose petal, leaves, black currant, light butter, pomegranate, oak, flint, stony mineral, light volatile nose, caramel, and dry wood branches. Flavor types changes between fruity, green, mineral, floral, and butter/caramel. 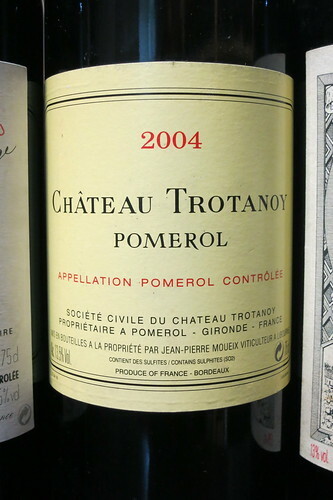 Medium body and intensity on palate. High tannin (velvet). Medium+ acidity. Very long length. The wine making of Trotanoy is under Petrus wine making team’s supervision, so many people say you can feel Petrus from Trotanoy. Chocolate, leather, mushroom, dark fruits of black cherry and black berry, wood, floral honey, mint, light pickled fruits note, and black tea. Very similar to Gazin, but shows stronger intensity and body. 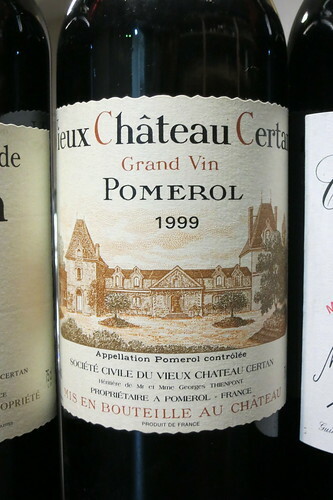 Vieux Chateau Certan plants around 65% merlot, 30% cabernet franc, and 5% cabernet sauvignon in their vineyard. However, in their blend, the merlot % might vary a lot. 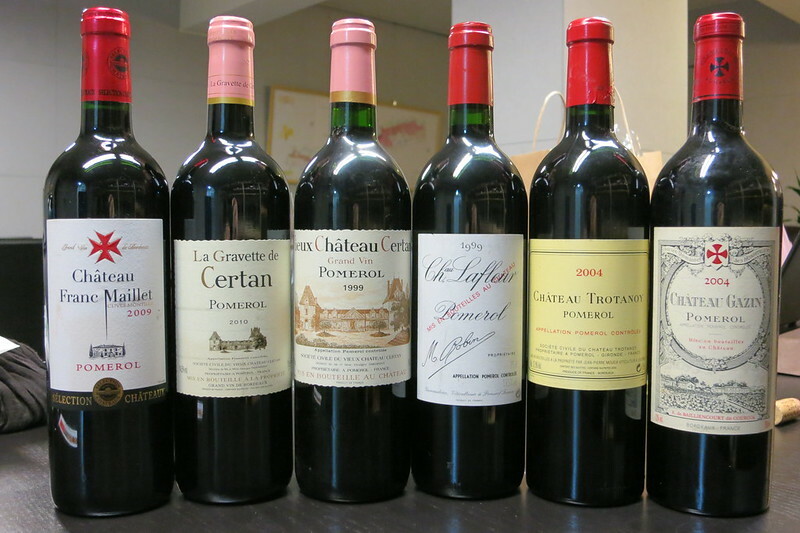 For example, 2011, 29% C.F., 71% Merlot; 2010, Merlot; 1999, Merlot; 1998, Merlot 90%, C.S. 10%. Pronounced nose. Green pepper, old leather, dry pickled plum, mushroom, old wood cask, dry tangerine skin, flower, herbal tea, coffee, chocolate, caramel, mint, notes of clove and licorice, and Chinese herbal cough syrup (川貝枇杷膏). Medium in body and tannin (very velvet). Medium+ in intensity and acidity. Very long length. Shows more matured nose than Lafleur. 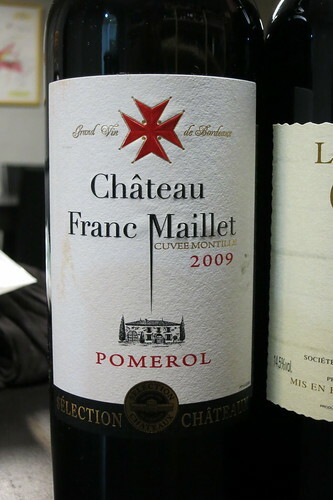 About half-half Merlot and Cabernet Franc, quite rare in Pomerol. Pronounced nose. Green pepper, coffee, cinnamon, floral, mint, tree leaves, tangerine skin, lemon, black currant, black cherry, and cream. The floral and grass nose is delicate, but noticeable. 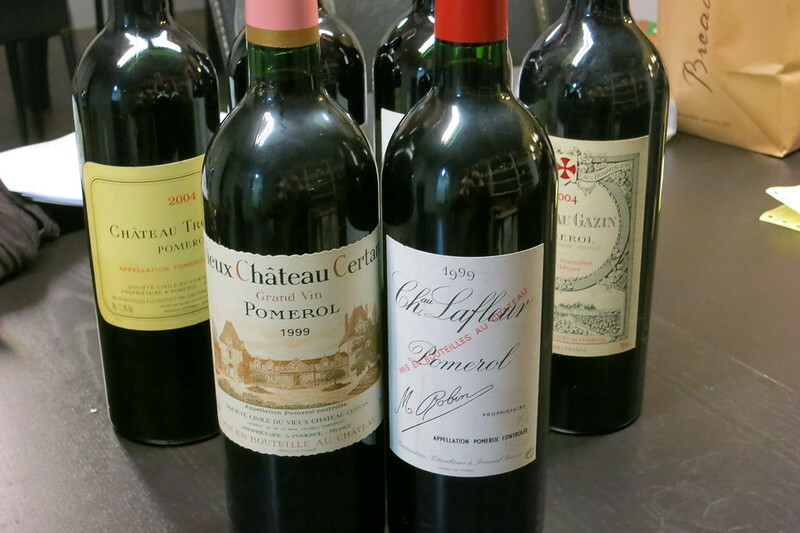 The palate shows velvet tannin (medium+), medium acidity, medium+ intensity. Very long length. 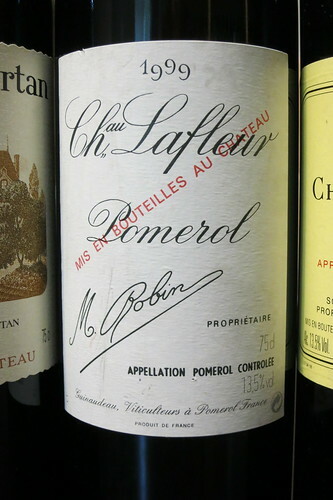 Still have fruity flavors in this 99′ Lafleur, can keep more years for improvements.